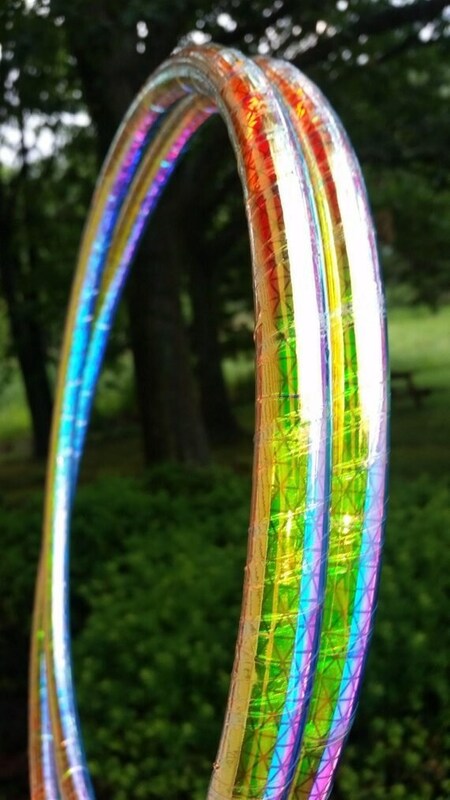 This listing is for Coin Flip color shifting reflective hula hoop half yellow to red half blue to purple with a pink to blue racer stripe on the inside and outside rim. 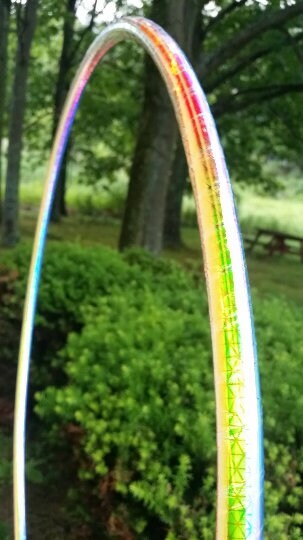 High Intensity Reflective hoops allow the hooper to make their videos, photos and over all hoop dance glow. 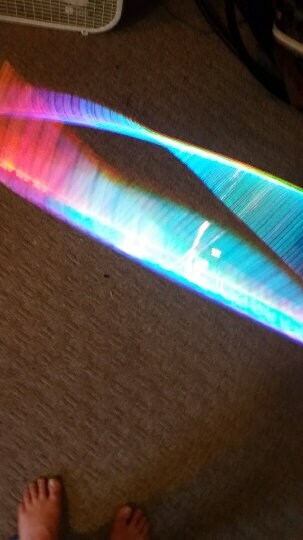 Using your cameras flash or downloading a flashlight app on your device while photographing or recording, the hoop will appear to be glowing. This hoop is also naturally reflective and tends to look like a deep glowing with sunlight. ♥ Choice to add grip tape *Please make note to add grip tape in note to seller. Rush order may be purchased for an additional fee. Rush guarantees to ship within 48 hours of purchase. ??? ?What is the difference between the finishes???? 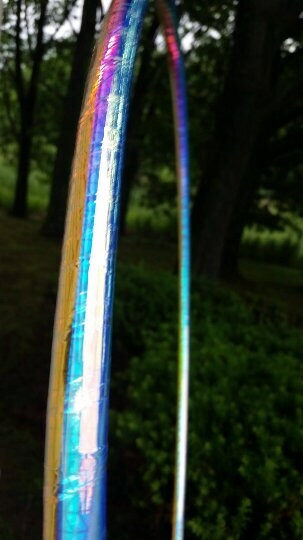 Grip Tape: Works best for beginners to advanced, has strong grip, adds more color to the hoop. Grip tape is lined on the inside of the hoop unless request is made otherwise in note to seller. ♥ Great for minis and doubles :18"-25"
♥ Minis sizes 22"-25", Minis can not be made smaller then 22" because of tubing tension. Gorgeous and it feels SO GOOD!!! !